Another video slot released by Netent, another possible favourite slots for our visitors! Butterfly Staxx™ game features include Wild Substitutions, Re-Spin Feature and Butterflies Free Spins. This is 5 reel, 4 rows with 40 fixed betting lines video slot with a theoretical payout set to 96.8%! Players can win up to 24,000 coins during the base game, but can also win up to 24,000 coins during the free spins feature! So get se and ready to try out this fantastic Netent slot risk free! Click here to read the full review on Butterfly Staxx™ video slot! 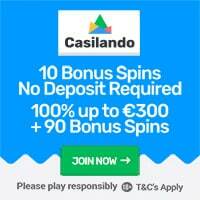 Join Casino Room to get 50 no deposit free spins on several Netent video slots including Butterfly Staxx! Players will get 10 free spins everyday for 5 consecutive days. There is also a great new welcome bonus at Casino Room on the first 5 deposits. The offer varies from one Country to another. To get more information on the welcome package: Read the full casino review! Claim your 50 no deposit free spins on ButterFly Staxx at Casino Room! Wixstars casino is offering 15 no deposit free spins to players residing in the following Countries: United Kingdom, Canada, Austria, Finland, Germany, Norway, Ireland, Netherlands, New Zealand, Sweden or Switzerland. To claim the free spins offer simply insert bonus code: BUTTERFLY15. 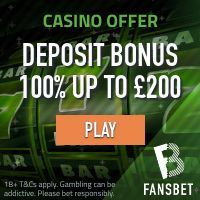 Make a minimum deposit of £/€20 to get 150% bonus match on your first deposit up to £/€300 + 50 free spins in the Joker Pro video slot powered by Netent. Click here to claim 15 no deposit free spins on Butterfly Staxx!